Usually when groups like iFixit and Chipworks break open a popular new gadget, they turn up some sort of surprise. But that’s not the case with the iPhone SE. In Chipworks’ iPhone 5 SE teardown, Apple’s first 4-inch phone since 2013 is exactly what it seems to be. 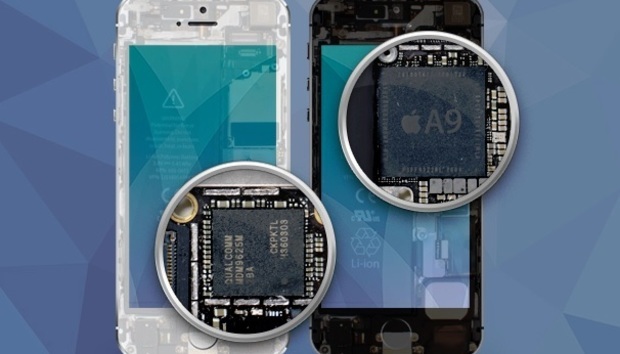 Most of its internal components are transplants from last year’s iPhone 6s, including an identical A9 processor, 2GB of RAM, NFC chip, motion sensors, modem, and transceiver. Chipworks does offer one interesting tidbit, however: While the iPhone SE’s RAM chip dates to last December, the A9 processor dates to August or September of last year. Chipworks floats the idea that Apple was sitting on extra inventory from slower-than-expected iPhone 6s sales, which might have driven the decision to put an A9 chip in the iPhone SE, not an A8 chip as once-rumored. Why this matters: Potential business implications aside, Chipworks’ teardown re-confirms that there’s no trickery to what the iPhone SE purports to be. Aside from the lack of 3D Touch and slower Touch ID sensor, the internals are exactly what big-phone fans are getting with the iPhone 6s. A lack of surprises isn’t always a bad thing.